Horse-meat in beef-lasagne, donkey-meat in beef-burgers and a little fox in the donkey-snack? Taking something from the freezer in the supermarket seems innocent enough, but sometimes the list of ingredients does not live up to its promise, resulting in some confusing meat mixes. If fox is being served unexpectedly for lunch, then all I have to say is, welcome to the jungle of nontransparent supply chains. This lack of transparency is caused by questionable planning methods accompanied by expensive, opaque and uncontrolled processes. But how can transparency in the supply chain be achieved? The food scandals mentioned above emphasize the issue of a lack of transparency in supply chains. Even if these scandals seem like the climax of an ongoing development, the question of transparency in the supply chain has a long history. For a long time, analyses of transparency focused on internal processes at a particular company. But because of the numerous scandals and changing customer expectations, it has become increasingly important to know what is going on beyond the company perimeter. Nowadays, transparency can be used as a competitive advantage. According to a German consumer survey, 82 percent of all consumers want more transparency from companies, and two thirds prefer transparent brands when offered comparable products. Increased information in the supply chain: In this case, transparency equates to profitability, since supply chains are getting more and more complex – decision makers need transparency of their own processes, in order to guarantee planning reliability. Procurement: transparency ensures that the procured products have the expected quality. Customers: transparency serves two related functions – firstly, assuming responsibility and bolstering a company’s image. Secondly, by externalizing transparency efforts, customer confidence can be increased. The supply chains of many companies are getting more complex every day – reasons include globalization, shorter reaction times and changing product life cycles. All these developments have resulted in an increase in available information and a growing sense of pressure to make faster decisions. Without sufficient transparency, addressing these challenges, along with the growing availability of information, is practically impossible. Wrong decisions are the consequence of missing information and a lack of transparency – and when wrong decisions are systematically made, staying competitive in the long run can prove to be difficult. However, transparency in this context does not mean “to have everything in view.” Simply turning on a light in a central warehouse with 100.000 positions is not sufficient for finding a specific screw. It is far more important to prioritize and take care of the important tasks and decisions in supply chain management: hence the term management-by-exception. This is also means that most decisions should not be made manually. But how can companies move to this point? Software based on Operations Research algorithms is probably the best choice when aiming for automatic decision-making. With field-proven forecast and optimization methods, these systems provide the basis for optimal, automated decisions. They also provide the right information when confronted with critical or unusual situations in order to move in the right direction. A very important feature of such a system is the ability to increase transparency in the decision-making process. Increasing data volumes is no problem for these systems, as decisions only improve as more information floods into the basis for calculations. Integrating the suppliers into a company’s planning system can be quite a challenge, but from the perspective of optimization, it is the next logical step. If you still ask yourself what big data has to do with the supply chain – at this point it shows its enormous potential. The previously mentioned scandals, and many others not mentioned in this article, have put business relationships with sub-contractors under scrutiny. In the process, a complicated supplier-subcontractor structure has been revealed, which has become typical in many industries. This was the case for the “Lasagne Bolognese” scandal within the German retail network. In the end, it was not the company itself, but a supplier, who could not prevent horse meat from being added to the beef ingredient. This shows the need for more effective supplier-controlling. In the end, suppliers must be held accountable for the quality they deliver. Otherwise, consumer backlash could prove devastating on a company’s bottom line. The relationship with suppliers can also be quite beneficial: Just take a popular drink like hot chocolate as an example. If regional milk farmers and African cocoa farmers receive fair prices for their products and the transport is also eco-friendly, then an increasing percentage of consumers will transfer this fact to the subjective taste of the beverage. The moral aspect does not only lead to better taste but also strengthens the brand. By doing so, transparency can be consciously used for image purposes and have a positive external effect. But if companies do not open up to their potential customers, these consumers may turn to external information sources. Today, customers think of transparent communication as a basic right. They are no longer compliant recipients, but very conscious of their power over brands. Moreover, companies that show external transparency are viewed as more innovative and sustainable than others – this holds true for small companies as well for global players. In case of doubt: Just do it! Be transparent and show what your supply chain has to offer! Let the donkey be an actual donkey, and the horse be an actual horse. And probably most important for the majority of our readers: let beef actually be beef. What is your biggest challenge – internal or external transparency? Looking forward to your comments! This article was originally written by Ludger Schuh in German and was published on the BVL blog (National Logistics Association – Germany). It was was translated by the Inventory and Supply Chain Blog Team. The original article can be read here. 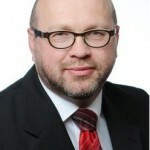 Ludger Schuh († 19.06.2017) was the Commercial Director of INFORM (Institut für Operations Research und Management) GmbH. From 1993 to 2016, he was responsible for the products from the Inventory and Supply Chain Division. In January 2017, he took on a role as second Managing Director of INFORM.